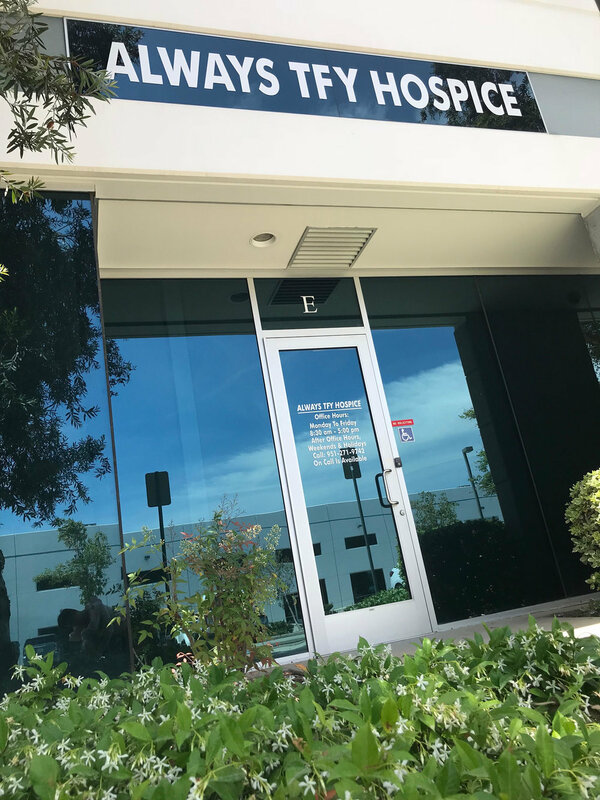 Always There For You Hospice is a provider of hospice and palliative care in Southern California. Our goal as a new care provider is to bridge the gap that we constantly see effecting families and patients: Give the people we serve the tools to understand not only what they may need in terms of healthcare, but also what families and friends can need when experiencing the end-of-life journey next to the ones they love. We have the simple philosophy that, the end of life is just as important and necessary as the begining - and both need to be prepared for, and in their own ways celebrated. Hospice is more than medications and doctor visits. Each individual that we serve is part of a full service plan that accommodates the specific needs on a case-by-case basis. Check our provided services to see if hospice care will work best for you. What Qualifies for Hospice? How can I get the help I need? Call us today to talk to one of our on-staff nurses, available 24-hours a day. We will gladly listen to you concerns and access your needs and let you know what options you and your family can make. Are Hospice Services Part of my Benefits? Hospice benefits are open to everyone and anyone, with no need for premium insurance options. Specifically, the costs of hospice care is covered in Medicare coverage that is available to everyone by law. The benefit is available to you whenever you may need care, and cannot be taken away from you. We take pride in always being there for you. Connect with one of our nurses today!